Come and join the French Society in the second Wine and Cheese evening of the year, but this time it’ll be bigger and better! We’re going to have a wine connoisseur running a wine tasting session with a carefully selected range of wines. Also come and taste a great variety of cheeses. Everyone welcome: £5 for members and £8 for non-members. You can buy your ticket here (members), here (non-members) or here. Q: What is a cheese’s favourite type of music? The FB-Connections is pleased to announce its next event on “The Communication of Social and Scientific Research in France and the UK”, to be held from 6pm on the 14th of January at the Great Hall of Goodenough College, Russell Square, London. The event will be held in English and is open to students of all universities and members of partner societies. As well as a number of guests from the Franco-British sphere, three fantastic speakers have accepted to share their thoughts with students. To sign up, please visit: http://www.fb-connections.org/signup/goodenough/ and for further information, please see http://bit.ly/WXTxGE. Come and join us for an enjoyable evening at L’Absinthe Restaurant and Wine Shop. They’ve created a special gourmet menu for us at a very special price, only £22.50 for three courses and a glass of house wine! There are limited places, so hurry and get your ticket now by clicking here. Here’s the menu, to get you salivating! We can’t wait to see you there. 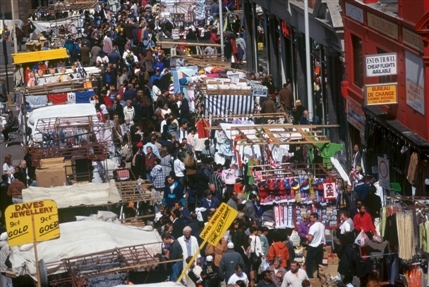 We are going to Brick Lane Market on Sunday (2nd December) which has an amazing food court with food from all over the world, lots of second hand fancy clothes, and a great atmosphere, definitely something you should visit! We will be leaving from South Kensington Station at 11:00, or if you prefer meet us straight at Shoreditch High Street station at 11:30. FRANGLISH – LANGUAGE EXCHANGE EVENTS organises 3 to 4 evenings a week, during 2 hours, linguistic events between French and English speakers in bars and restaurants located in the heart of London. The objective being to learn a foreign language in a fun and welcoming environment, the Franglish team has come up with an innovative concept of one-to-one conversations between one French and one English speaker. The conversation lasts 7 minutes in French, then 7 minutes in English before participants switch table and meet a new partner. Every time, participants are guaranteed to meet at least 5 native speakers. The events are coordinated by a bilingual organiser who welcomes and guides the participants. The normal rate is £12 and includes one drink. For students, the rate is £8. Please check out www.franglish.eu for sign up and more information, including a video presentation and photos of our events in the « gallery » section. We are delighted to announce that the International Office is organising a day trip for international students (EU and Overseas) to Winchester on Saturday 8 December 2012. The historic city of Winchester has long been a place for royalty, pilgrims and tourists to visit for over 2000 years; the city has had many guises over the centuries from being a Roman city, the ancient capital of England to a place of pilgrimage. Today Winchester is a beautiful market town with many old buildings and narrow streets, there are elements of the cities past all around its ancient centre, and we will be seeing some of these on our tour today. Winchester takes Christmas very seriously and has had a Christmas market since 2006, last year there were over 350,000 visitors and it was voted one of the best in the country. At the market you will find, high quality exhibitors and a bustling atmosphere where wonderful Christmas gifts, decorations and festive foods can be found in abundance. All of this is centred on the medieval cathedral, the longest in Europe, and has a unique atmosphere that is sure to get the Christmas spirit going, even for Scrooge. Cost of Trip: £10, paid online via bank card. Please click here for further information and details of how to register and pay. The closing date for registration is Friday 23 November, however we only have a limited number of spaces and these will be sold on a first come, first served basis. Please ensure you register early so that you don’t miss out on this great trip! Please contact the International Office on international@imperial.ac.uk if you have any questions. We sure had fun at the last Speak French event, so do come join us at the Union in 568 (Beit Quad) 6-8pm for a social evening of speaking French. It will be in a very informal setting around a class of wine, and just give you the opportunity to practice or improve your French. Hope to see many of you there! The OSC are organising a big football tournament which will see sixteen teams fighting for the victory. The winning team will get money for their club, so please get involved and help us win. It’s only £3 to take part, and we will provide you with lots of food and drink! The five-a-side tournament will take place at Westway Sports Centre (http://www.westwaysportscentre.org.uk/football/). Fancy playing? Simply email us at french@ic.ac.uk. Hi everyone! First of all thanks again for coming to the Cheese & Wine event last week, it was great to see so many of you. Here are a few photos that Matt from Raison d’Être sent us of his food. We strongly recommend you go and try it, it’s worth the trip! You can find more pictures on the Sponsors page. Yes, it’s the event you have all been waiting for, the French Society has decided to play up to the stereotype and organise a Cheese and Wine evening! There will be a large variety of French cheeses and wines, all waiting to be savoured and devoured. Meet in Blackett Room 539 at 8pm. The event will cost £1 for members and £4 for non-members. Don’t miss out, it will be Brie-lliant. Come join us at the Union Bar 568 (Beit Quad) 6-8pm for a social evening of speaking French. It will be in a very informal setting around a class of wine, and just give you the opportunity to practice or improve your French. Hope to see many of you there!